Another edition of the Weekly Wrap-up is here with the most important social media news you should know about. Enjoy! 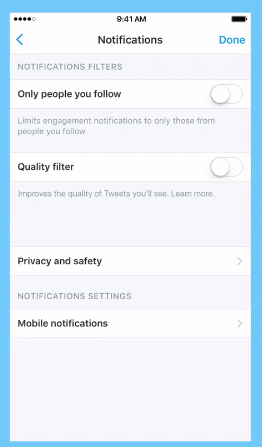 Twitter Makes Big Changes to Notification Settings: After repeated criticism for their failure to help users dealing with abuse and harassment, Twitter has introduced two big changes for users that should help. The most significant change is the introduction of a quality filter, which will allow users to filter out “lower-quality” content. “Lower-quality” content includes spam-like or duplicate tweets and tweets containing threatening and/or offensive content. The other big change, allows users the option to receive notifications only from Twitter profiles they follow. Pinterest Updates Messaging, Send, and Feed: Inspired by user feedback, Pinterest recently introduced three updates. The first change allows Pinterest users to message one another without first following each other. The second change allows users to send Pins, board, and/or profiles across Facebook Messenger, WhatsApp, and text. The final change, allows users to opt out of “Picked for you” pin recommendations. Instagram Launches Live Events Channel in Explore: Instagram will now offer live event videos under through their Explore feature. Much like other content offered through Explore, videos will be recommended based on user activity.